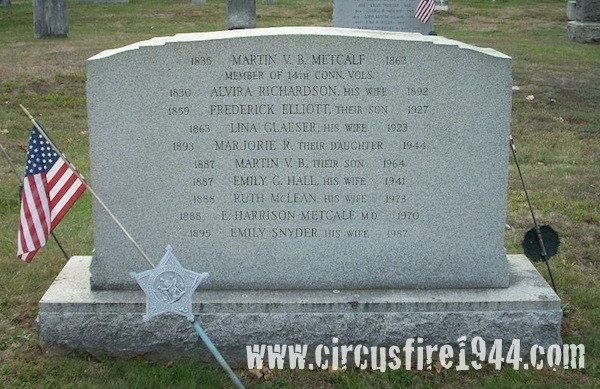 Miss Marjorie Rose Metcalf, of 66 Vernon Avenue, Rockville, was born June 22, 1893 in Rockville, daughter of German born Lina Mary (Glaeser) and Rockville native Frederick Elliott Metcalf. 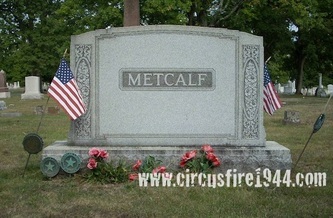 Miss Metcalf was found dead at the circus grounds after the fire on July 6 and was buried at Grove Hill Cemetery in Rockville after services at the Ladd Funeral Home on July 9. Marjorie leaves two brothers, Dr. E. Harrison Metcalf, 56, and Dr. Martin V. B. Metcalf, 57, and a neice, Virginia Metcalf, who attended the circus with Marjorie and survived, though she received burns on her arms. Body #4509 was identified as Marjorie Metcalf at the State Armory by her brother, Dr. E. H. Metcalf on July 6. 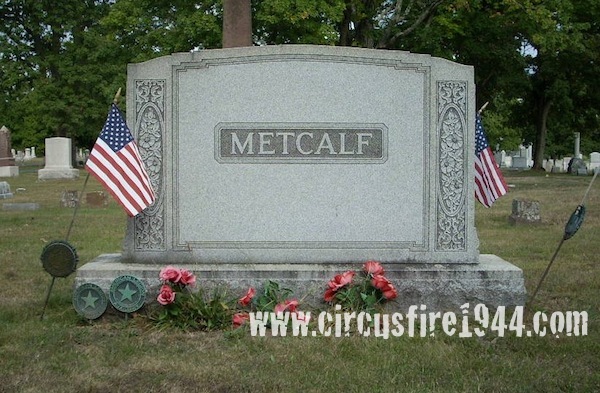 At the time of her death, Miss Metcalf was a pharmacist and owner/proprietor of one of Rockville's oldest businesses, Metcalf's Drug Store, established 1884, which she took over after her father's death in 1927. 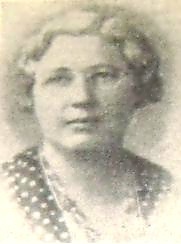 Marjorie's brothers would take ownership of the store after her death, and the business would be sold in 1948. Marjorie's estate was awarded $13,000 by the arbitration board.